Some of the richest copper mines in the United Kingdom, a rare Cornish canal and a railway uniquely engineered to convey the minerals by gravity combine to make a fascinating story. The wealth brought by copper, as well as by tin and granite, extracted from this corner of Bodmin Moor, built the town of Liskeard and the harbour of Looe that we know today. It gave us a unique transport system, built to service the bonanza of Caradon copper, a mining discovery that germinated, blossomed, withered and died all within fifty years, but left us the picturesque railway line to Looe. It is a story of ingenuity and capability, of independence and interdependence, of hope and despair. It could only have happened in Victorian Britain. This is very much a local story, for it was all achieved by local people; people like engineers Robert Coad and Silvanus Jenkin, like mining entrepreneurs Peter and James Clymo and like the banker Lewis Foster who was receiver of the Caradon line for twenty-eight years. 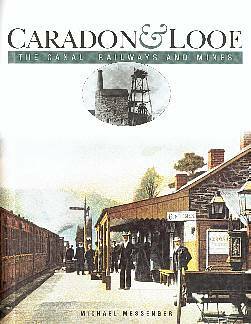 The definitive history of the Liskeard & Looe Union Canal, the Liskeard & Caradon Railway and the Liskeard & Looe Railway was first published in 1978 and has been scarce and sought after for some years. This new edition has been fully revised and benefits from additional research and many new illustrations.